HAL’s chief creator, Shinya Kumazaki explained the process of expanding the game to me in an e-mail interview, saying the whole offering was designed to keep people playing and to “keep long-time fans happy.” Along the way, some of their plans changed. 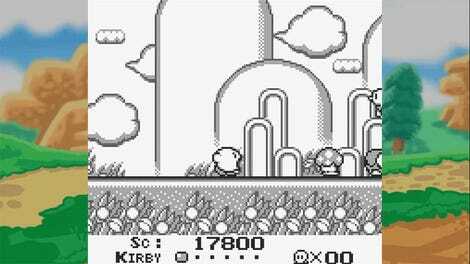 A planned roster of additional playable characters morphed as HAL’s designers decided which favorite buddies and villains to reintroduce from past Kirby games. The final update’s multi-hour Heroes In Another Dimension bonus campaign was a new idea, a switch from an initial plan to simply add more levels to expand the existing story. Kirby Star Allies’ downloadable bonus campaign, Heroes In Another Dimension, challenged players to clear levels and collect hearts using the special abilities of a huge roster of franchise characters, many of them also added to the game post-release. 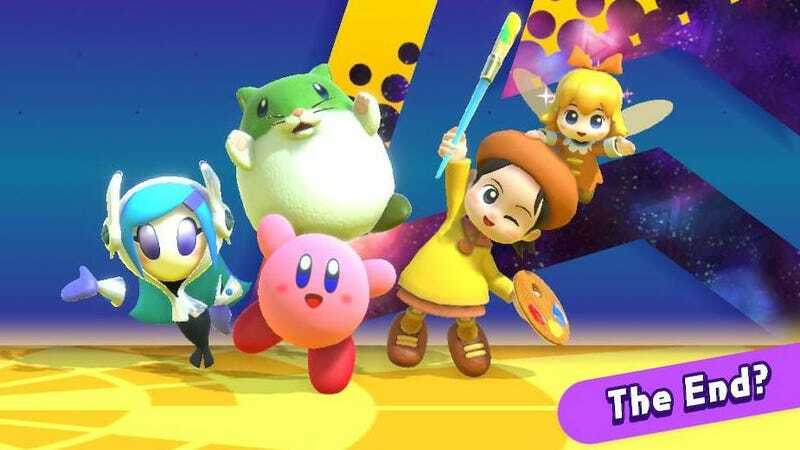 Kumazaki and his team looked at heroes and villains from earlier Kirby adventures that they could add to the four-character teams that Star Allies players use to run and fight through the game’s levels. Initially, they worried whether it was narratively consistent to add certain characters but abandoned those concerns by deciding Kirby would just summon them magically using a Dream Rod. The additional buddy characters, as well as a few available in the game when it launched, would be called Dream Friends. As bountiful as all the additions are, they also accentuated Star Allies’ relative brevity at launch. The game had a lot of levels but could be dashed through quickly. Its mini-games were shallower than those in other recent Kirby games and the overall package, judged by the series’ past generous standards, felt surprisingly trim to some players (including me, as I noted in my review). I asked Kumazaki if this was because the developers knew they’d be adding to the game post-release.